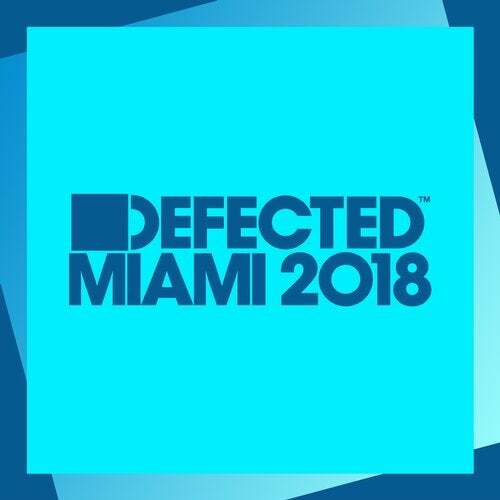 For over a decade, Defected Miami mix albums have brought together the best new underground house music, championing upcoming talent and highlighting material from established artists. 'Defected Miami 2018' continues the tradition of forecasting the records that will soundtrack the Miami Winter Music Conference and go on to remain playlist fixtures for tastemaker DJs throughout the summer. Diving right in with the sunshine-ready beats, Riton & Kah-Lo 'Fake I.D. ', the collaborator's follow-up to their Grammy nominated 'Rinse & Repeat', sets the tone for the opening quarter, maintaining the high energy through to first lady Sam Divine's joint effort with CASSIMM, 'What God Has Chosen'. It wouldn't be a Miami album without some soaring vocals, delivered by Kandace Springs on the latest Kings Of Tomorrow anthem 'Faded' (Sandy Rivera Classic Mix) and by the gospel-powered Dames Brown on Sophie Lloyd's 'Calling Out'. More direct club-focussed highlights include Rapson featuring Nathan Thomas 'Heat' (Scott Diaz Remix) and Claptone featuring Ben Duffy 'In The Night', taken from the Berlin hit maker's forthcoming album 'Fantast'. Mella Dee's future hit 'Techno Disco Tool' provides jumping tech with a cheeky disco nod while the glorious New York-styled 'The People' by Eli Escobar off his acclaimed album 'Shout' ensures that the album takes a trip through the full house spectrum. Spread across two expertly constructed mixes, 'Defected Miami 2018' is an essential collection that brings the Florida vibes to wherever you may be.